Use the links below to purchase Jim Knipfel's books at Amazon.com. Ruining It for Everybody, Jim's thrid memoir. "Whenever I hear the word 'spiritual,' I reach for my revolver." The Buzzing is a novel about an aging, embittered journalist who stumbles onto what may (or may not) be the story of a lifetime. Reviews: NYTimes, Charlotte Observer, Hackwriters.com, Rocky Mountain News, LAWeekly. Quitting the Nairobi Trio is the memoir of a 6-month incarceration in a locked Minneapolis psych ward after a failed suicide attempt. Available in hardback or trade paperback. 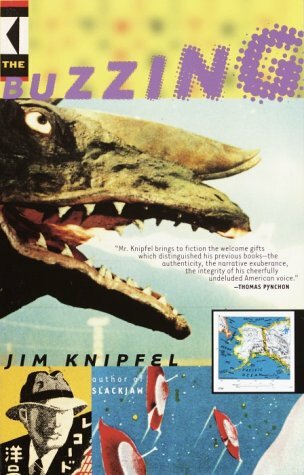 Slackjaw, Jim Knipfel's first book, is available in hardback or paperback. Also available, Blindfisch, the German translation.